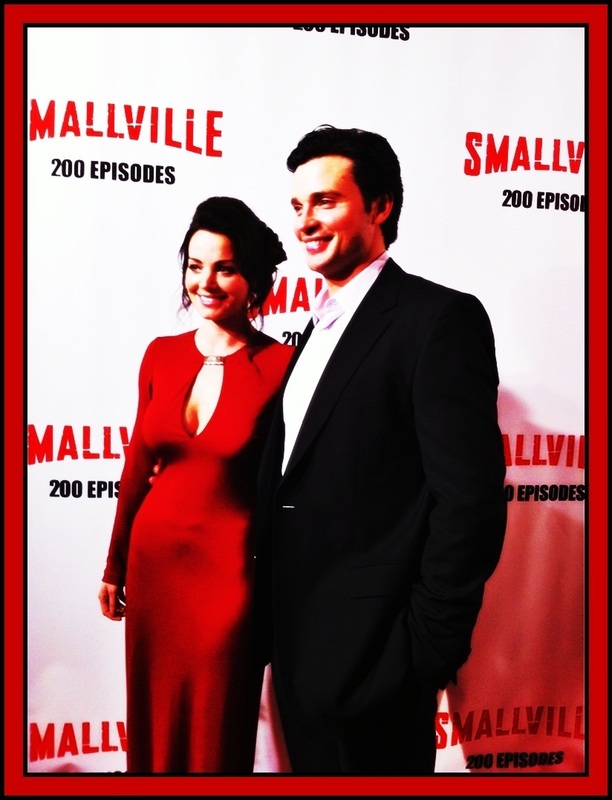 Erica Durance & Tom Welling. . HD Wallpaper and background images in the TV Couples club tagged: tv couples smallville erica durance tom welling lois lane clark kent clois. This TV Couples photo contains business suit. There might also be suit, suit ng mga damit, mahusay bihis tao, suit, pantalon suit, pantsuit, anime, comic book, manga, and cartoon.